Children and families are invited to dive for Easter eggs in the YMCA’s pool. You don’t have to be a member to participate. The Y will offer open swim after the egg hunt too. Pre-registration is encouraged. Call the YMCA at 574-287-9622 for more information. Get clothes, toys and other kid items from 8am to noon at the St. Joseph County Fairgrounds. All purchases are cash only. Get more info here. Shop for books, enjoy story times and participate in fun spring activities during the Family & Children’s Center BookFair at Barnes and Noble in Mishawaka. Make sure to get a voucher at the event and a portion of your purchase will benefit the Family & Children’s Center. Get more details here. Enjoy food trucks, lawn games, great music and see art from students and local South Bend area artists at this free event on the Notre Dame campus. There will also be a fundraiser for the Boys & Girls Club of St. Joseph County. Get more details here. 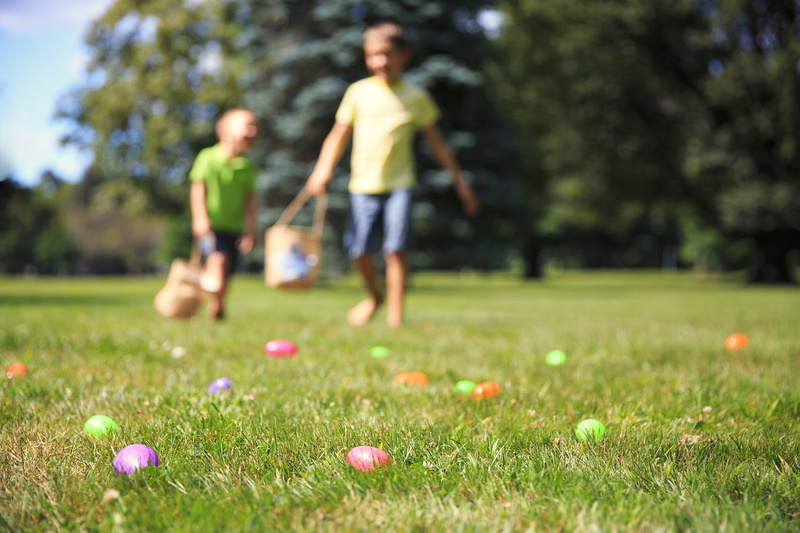 Enjoy an Easter egg scavenger hunt at the National New York Railroad Museum in downtown Elkhart. There will also be story time, crafts and activities. Buy food at the museum or bring a snack to eat in a train car. Get more information here. Celebrate spring with a variety of events in downtown South Bend, including a coloring contest, a breakfast with the Easter Bunny and several craft opportunities. Get all of the details and register for some events here. All Martin’s Super Market locations will be visited by the Easter Bunny from 11am to 3pm the weekend before Easter. Kids can take photos with the bunny for $2, which will be donated to a charity chosen by each individual store. Get more information here. Is your organization hosting an awesome family-friendly event coming up? 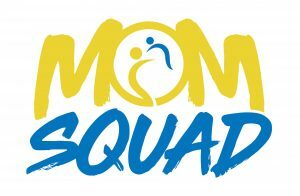 Submit your event to the B100 Mom Squad now! Bring the whole family — including your pets — to get a picture with the Easter Bunny at the UP Mall at 6pm Sunday, April 14. Get more details here. Celebrate veggies at this vegetarian/vegan food festival. The free event is open to the community. Get more information here. Get your photo taken with the Easter bunny, decorate an Easter cookie and take a ride on the Easter Eggspress for an Easter egg hunt. Get more details here. Explore the house that Rockne built or go on a challenge to climb the stairs at this unique event at Notre Dame Stadium. There will be inflatables for the kids too, so it’ll be nap city when you get home! Get your family registered here. This fun event is a great opportunity to dress up in your favorite superhero costumes and get some exercise while supporting Child and Parent Services of Elkhart County. There’s also a costume contest! Register here. Enjoy tea, sweets and light snacks at this event at the Ruthmere Museum in Elkhart at 2pm Sunday, April 28. Blogger Lindsay Witwer will give a presentation about a crazy but loving household and there will be a display of miniature shoes, in keeping with the theme. Get your tickets here. DO YOU HAVE AN AWESOME FAMILY EVENT COMING UP? SUBMIT IT TO THE B100 MOM SQUAD HERE!